We are into the second week of the Blogging Marathon, and I decided to make Curries or gravies for this week. Though in a typical Tamilian menu, curry is referred to a dry side dish, most other parts refer to the side dish that’s served with Rice or Rotis. I have used it in a boarder term to include the gravy side dishes. These mostly get done within 30 mins and will be great help when pressed for time. Heat a pan with oil, sauté onions till brown. Add ginger garlic paste, sauté till it’s cooked well. It takes about a minute. Aloo gobi looks yummy. Have never used poppy seed powder before. I am sure it would have tasted extra good. Aloo Gobi is always a go-to recipe for me but I don't remember having ever used poppy seeds in combination with cauliflower! shall try it next time! Popy seeds give a definite change to that curry.I loved the richness.So,this week I am eager to see what all curries you are goin to come up with since we always need different ones . 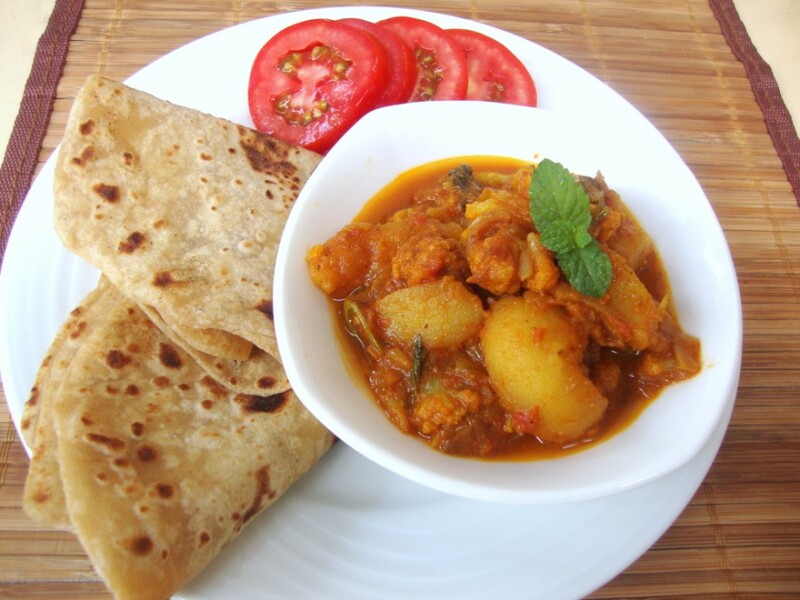 I make this very often.. your version looks very tempting.. gr8 combo with paratha..
Aloo gobi combo works wonder always, looks inviting,a prefect pair for rotis..
Count me in next time..!! 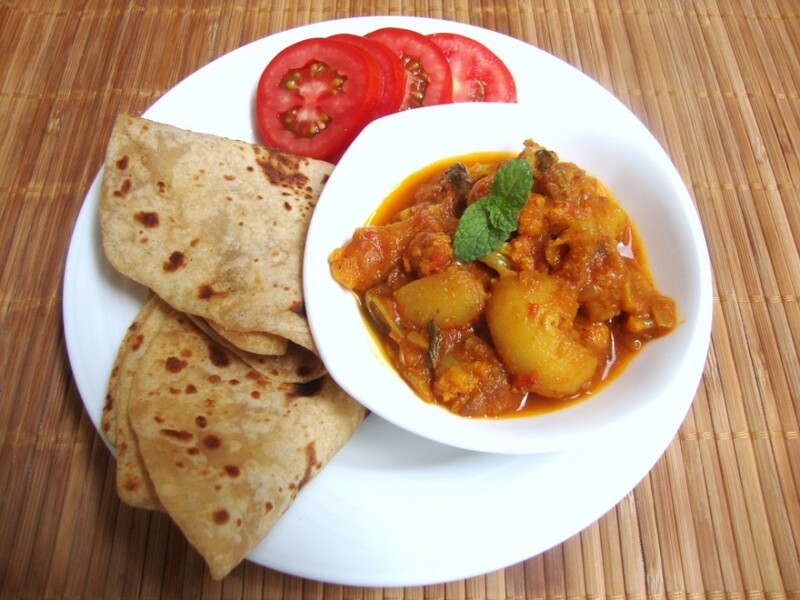 Curry looks so wonderful and perfect with rotis !! Loved the idea of poppy seeds !! 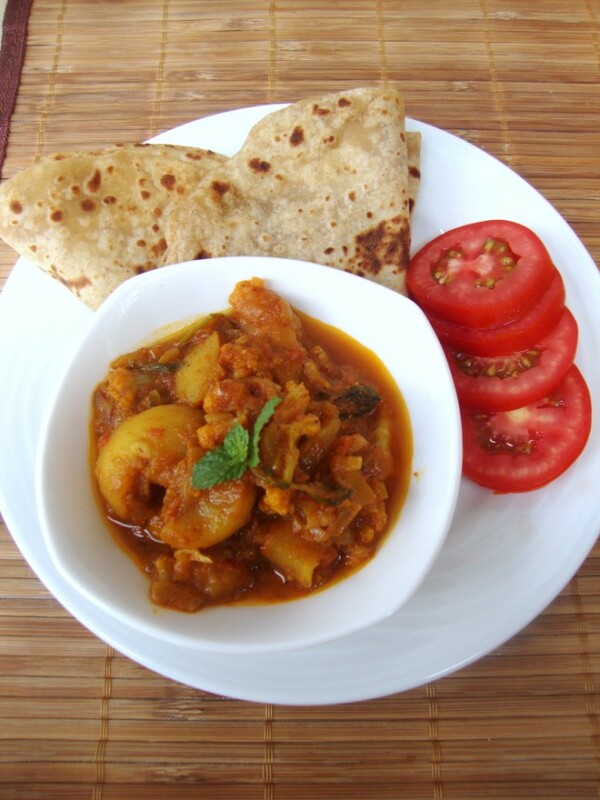 attractive aaloo gobhi…poppy seeds have a unque crunchiness while eating ..love to use them!! Lovely and delicious,loved the addition of poppy seeds..
Wow.. vibrant and so inviting!! Nice try with poppy seeds.. will try them soon..
aloo gobi always a lovely combo. addition of poppy makes it all the more tasty!!!! !